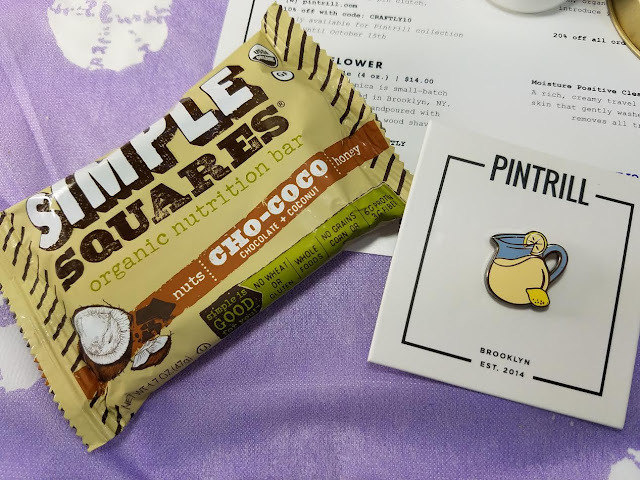 Simple Squares Cho-Coco Nutrition Bar- I always wish boxes would send something glorious and decadent with real chocolate, made with flour and real sugar. With only 1% of the population being unable to process gluten, I have no idea why this type of bar is so common. Of all the gluten free treats I've tried, WoW Baking does the best job of making gluten free taste like the real thing. I do have a friend with a gluten intolerance and I give these to her because by now I know I don't appreciate them as much as she does. Pintrill Lemonade Pin- Like I said, just about anything can pop up in these boxes. Pintrill is making the subscription box rounds like a lot of companies do. I now have two of these (my other one is a pineapple). I don't have any real use for pins and I don't know a lot of people who do. But there you go. Have a pitcher of lemonade! Bioelements Moisture Positive Cleanser- The ingredients list for this looks great. Unfortunately it contains lavender (I'm allergic) and ginseng (my face *hates* ginseng). The good thing is that it smells manly enough for my husband to use. He tends to use my face washes, which is fine, but they smell girly. This one should make him happy. 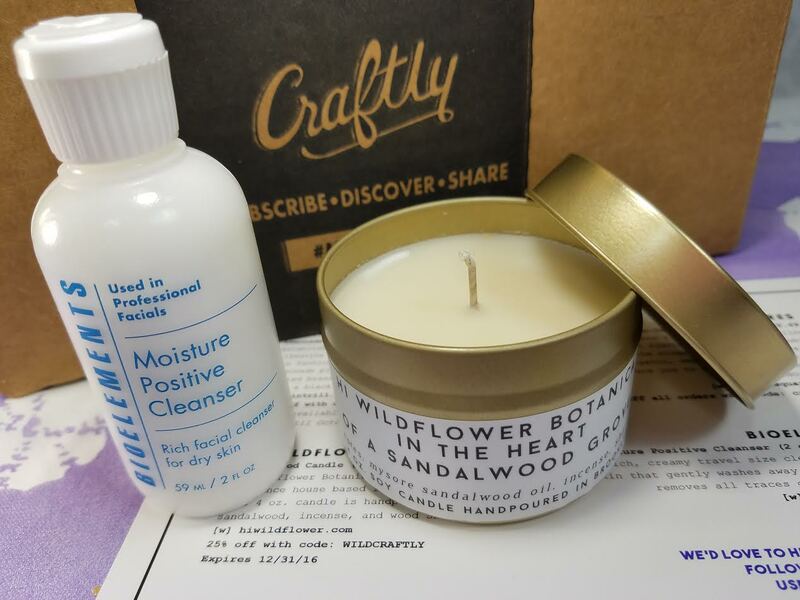 Hi Wildflower Sandalwood Candle- This candle is a great unisex scent. My husband loves it. He likes candles which surprised me when I first learned that after we got married. My dad hated anything scented, even hairspray. Which meant we weren't allowed to use it. My high school self hated that. Anyhoo, this candle was made in Brooklyn by Hi Wildflower Botanica. It's handpoured with a cotton wick and has notes of sandalwood, incense and wood shavings. VERDICT: Even though the box only has four items, the value is very good. It's almost double the cost of the box. 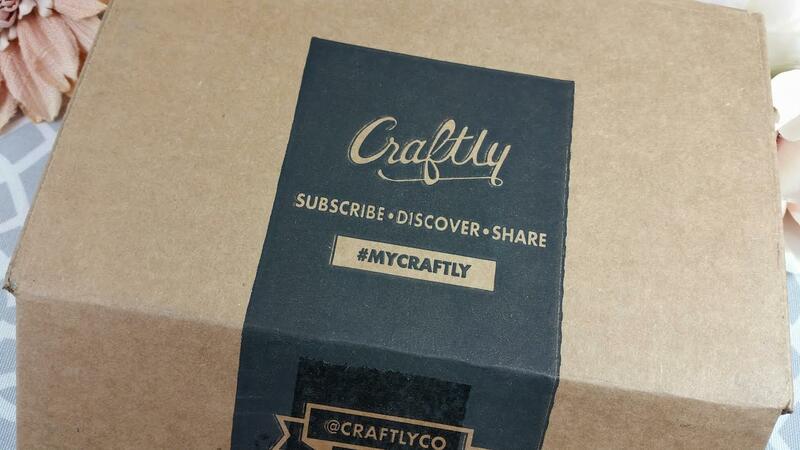 I find that Craftly would be a great box for guys of any age. In my opinion, while it's a unisex box, it tends to lean a little toward the male side. I think that's a good thing because men like gifts, too! And lots of them get subscription boxes. If I were you, if you don't think it's for you, you should at least put it on your list of awesome gifts to get for people you know. That's what I did. 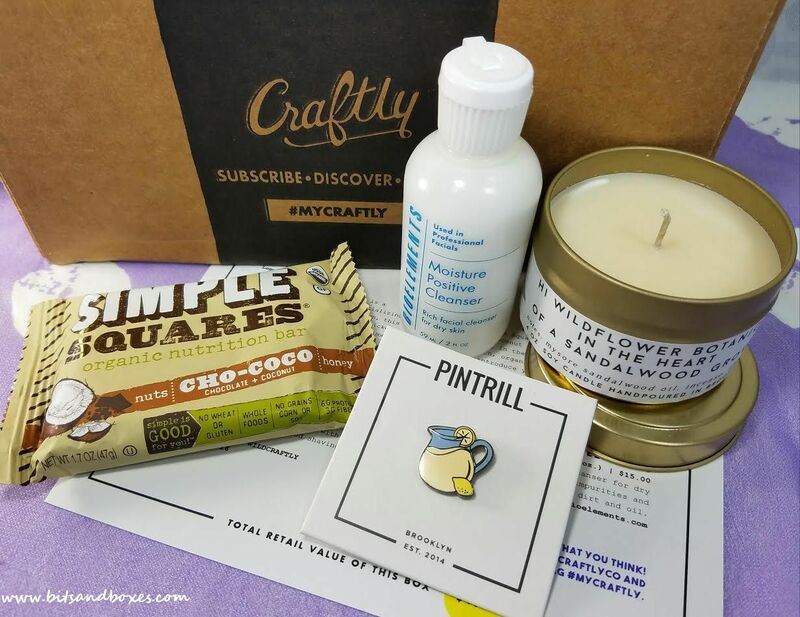 If you would like to sign up for Craftly, you can do that here. Use code BITSANDBOXES10 for 10% off your first box. *This box was sent complimentary for review purposes. All opinions are mine.affiliate link used.